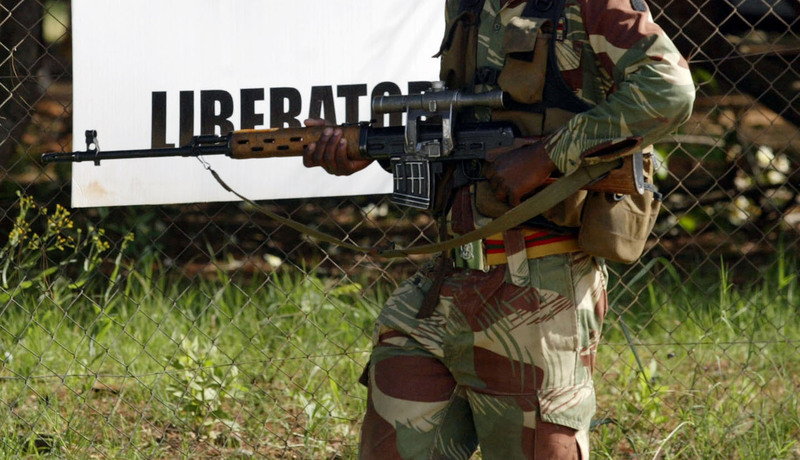 Members of the Zimbabwe Republic Police support unit aided by members of the Zimbabwe Defense Forces on Thursday entered Day 3 of beating up citizens at the aftermath of the violent protests that rocked the whole country. An eyewitnesses in Bulawayo said he observed support unit members beating up a man near Cold Storage Commission in the industrial area. Bulawayo remained largely closed with no shop open save for a few private schools. MDC Official Mathula Lusinga said in Bulilimamangwe area young boys and men were rounded up and taken to an unknown location. "In the village of Ngwanyana, near Botswana hundreds of men and boys including secondary school children have been rounded by the military and taken to an unknown location." Lusinga said. "Those that managed to escape before the roundup are now hiding in the bushes. Lest we forget Gukurahundi started like this and Mnangagwa and Chiwenga were in charge! It's really bad right now." "Hi please spread the word MDC alliance Crispen Dube ward 9 Councillor Chikanga Dangamvura was abducted yesterday morning his whereabouts are not known up to now." MDC Deputy Treasurer General Charlton Hwende announced. Businessman and fervent supporter of President Emmersonn Mnangagwa Ali Naka condemned the brutality that was unleashed by the state on citizens especially children. "Why would a so-called National Army beat a 7 year old to death?" He queried. "A trusted source called me now from Parirenyatwa hospital confirming that the numbers of the killed are much higher than the official figures being quoted! This is absolute nonsense."